Hi! It's Jilly. : Stylin' With Kleenex?? This post was graciously sponsored by Kleenex, but all opinions are my own. Hi! It's Jilly. Man, I am ready for this cold weather to be GONE and for Spring to arrive! It feels like my nose is running all the time, especially when walking to my classes at school. I'm reaching for the Kleenex all. the. time. When I went to one of my classes, after walking all the way from my car in the cold, this girl said to me, "You need to blow your nose. If you don't blow your nose you'll get a cold." Uhm...I'm pretty sure that's not how it works. Never heard that one! I do know that a runny nose is annoying, though. I have to make sure I keep a pack of Kleenex in my bag all the time! 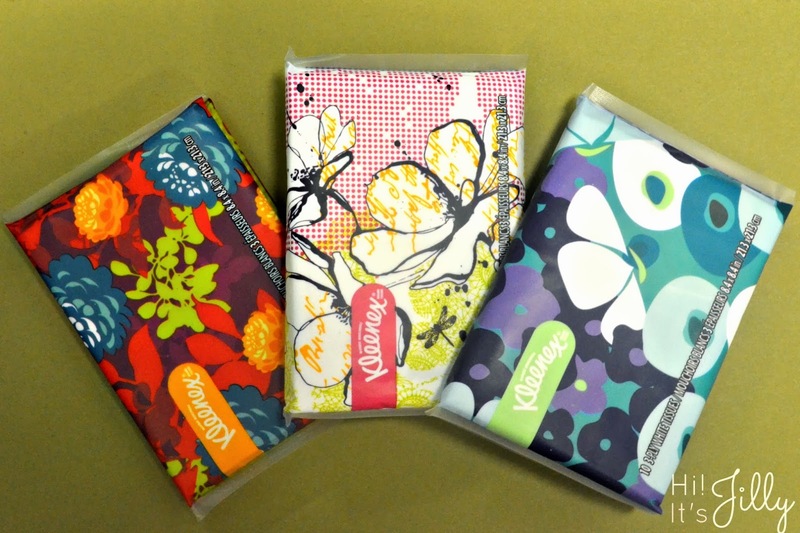 I really like these Kleenex Slim Packs. They don't take up a lot of room in your bag, and they keep the tissues neat and clean. Plus, they come in such fun colors! 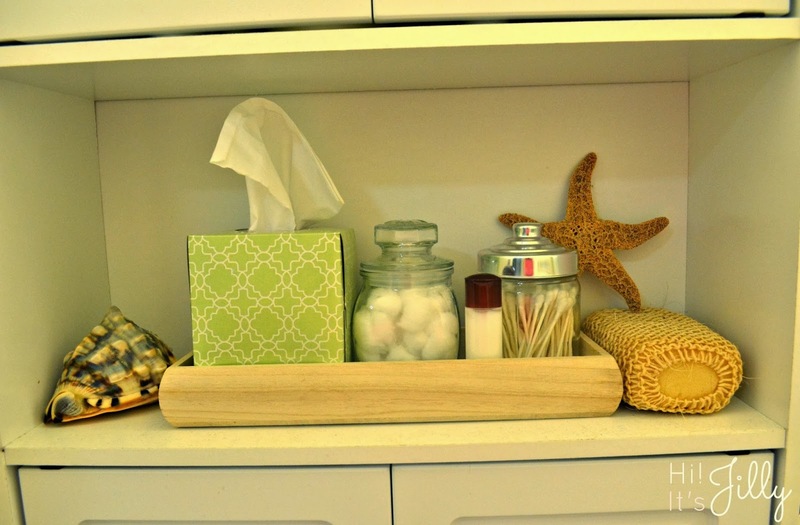 Kleenex even has a brand spankin' new Kleenex Style Finder, where you can take a little quiz and see which of their designs matches your personality and decor the best. I love taking online quizzes! Kleenex put together this whole "Style Studio" to celebrate their 90th Anniversary. 90 years! Whoa! I also like to keep some Kleenex in the bathroom. I liked the design on this box. I thought it was nice and "Spring"y. I nestled the Kleenex inside a long wooden tray, then added a jar of q-tips and cotton balls, and a little bottle of lotion. It makes the boring old bathroom look much cuter! 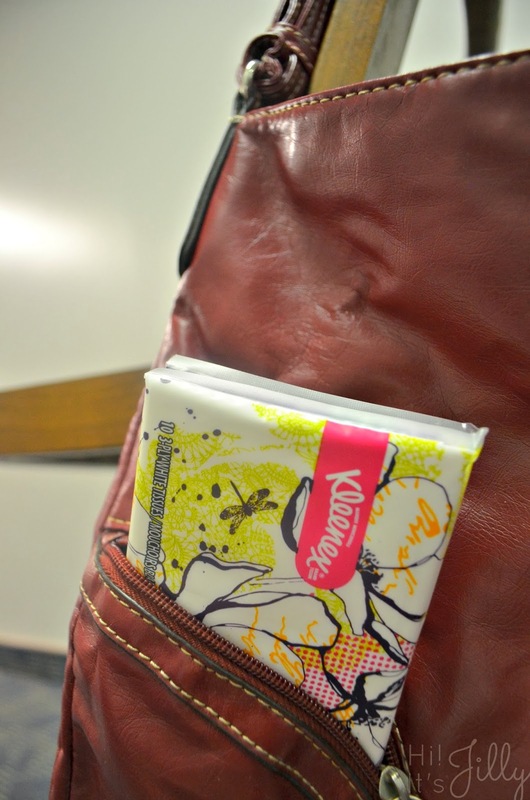 So, head over to Kleenex's website and find your #KleenexStyle!